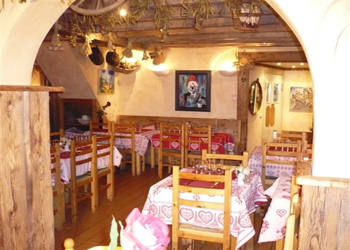 Marie and Eric, who is also a ski instructor, extend a warm welcome to this charming restaurant, set in calm and restful surroundings. 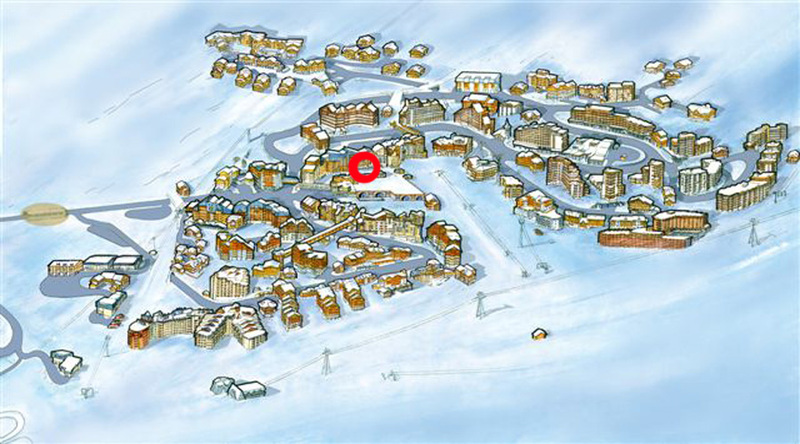 La Chaumiere is located opposite the Caron shopping arcade, in the centre of the resort. It is possible to ski in at lunchtime. 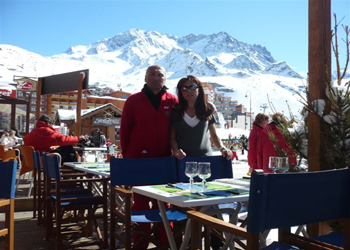 When the weatherʼs fine, enjoy your meal on a lovely sunny terrace by the side of the piste. 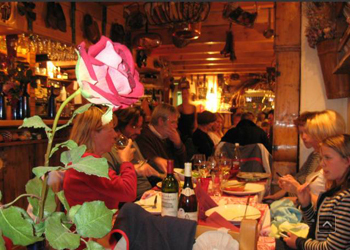 The restaurant offers a typical Savoyard décor in a warm atmosphere in the heart of the mountains. Are offered for your pleasure a gourmet menu and a variety of local specialties to discover! The restaurant is open throughout the winter season from December to May. You can enjoy typical products rich in culinary traditions. 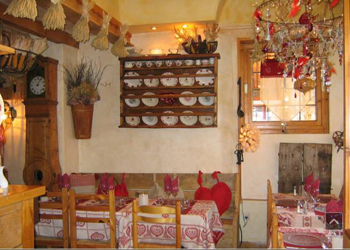 The restaurant is recommended by the "Gault Millau" guide. The service is for lunch and dinner until 22 hours. Map SNACK skier menu, daily specials, pasta, burger giant plates and foie gras seared fresh, fries, salad and hamburger Savoyard are showing. 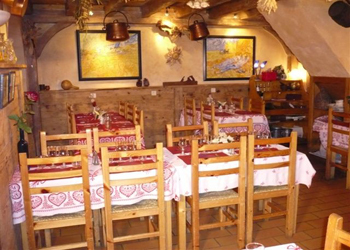 In the evening we offer a gourmet menu and Savoyard specialties such as "fondue", the "braserade", the "tartiflette" and "raclette". Whether at lunch or dinner with friends or family, you will spend a pleasant moment of tasting. The friendly team and product selections make this hotel a place not to miss on the station. - Open every day Winter from 9a.m.- 11p.m.